Whether you’re planning a cozy party indoors or a big Thanksgiving bash outside, our friends at Country Living have some great tips for hosting with ease. If you are planning to have a tent for your Thanksgiving party, be sure to ask us about our walls, floors and heating options – we want to make sure you and your guests are 100% comfortable. 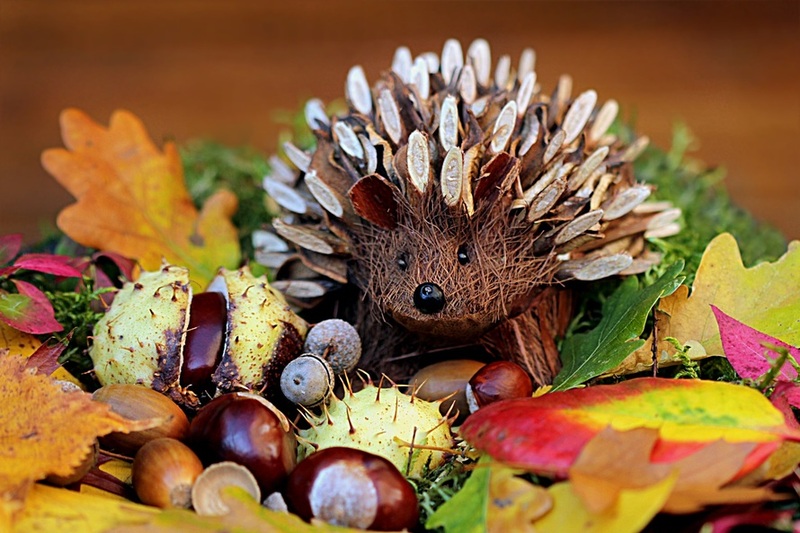 Centerpieces are awesome and most guests really do appreciate the attention to detail; however, Thanksgiving is about feasting on delicious food with friends and family. This year, consider freeing up prime dinner-table real estate by moving your arrangements to the not-food-related tables. Give the people what they REALLY want and move items such as butter, gravy and cranberry sauce to the middle of the dinner-table. Also, don’t stress over elaborate floral centerpieces – instead, go exploring (or have the kids do this) in your backyard for branches of holly, crab apple or bittersweet berries. This sounds like a win-win to us! The truth is, all the adults during Thanksgiving want to be at the kids’ table, so why not make it the place to be? Accommodate your youngest guests’ by covering the children’s dining surface with brown or white kraft paper. You can draw on place mats and customized name cards so the kids feel just as special as the grown ups. Be sure to set out boxes of crayons for games or drawing – even the older kids will love this! The best part? This “tablecloth” is super simple to clean and 100% recyclable. Of course, you can’t please everyone when it comes to the menu but you can save yourself lots of “explaining time” by labeling your dishes. Use different leaf stencils on colored paper to create elegant ingredient lists. This should help your friends who might be vegetarians, vegans or just picky eaters avoid the task of asking you about each dish. Have a few extra labels ready and ask anyone that brings a dish to do the same. Who says you have to have a wreath to be festive? This year, try the DIY pine cone door hanger. Find (or buy) 8 pine cones of varying sizes and 8 two-foot-long pieces of maroon ribbon. Use a hot glue gun to adhere the last two inches of the ribbon to the base of the pine cone. After the glue dries, collect all the ribbon ends and stagger them so the cones fall at varying lengths. Tie the ribbons together and slip the knot over a finishing nail. Quick, cute and simple! Save yourself from the “Weeks of Thanksgiving Food” issue and send your guests home with leftovers. You can purchase super cute takeout boxes so you don’t lose all your Tupperware and your guests can’t say no! No matter what kind of Thanksgiving party you have this year, these tips will help save you time/stress and will certainly impress your guests. If you ARE hosting a party outside, be sure to give us a call to learn about the different tent options to keep guests warm and cozy.